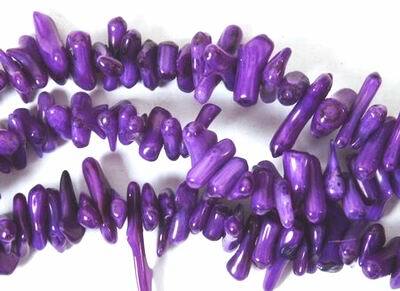 Price is per 15-inch strand of these beautiful beads - ready for stringing. Longest average chip size: 11 x 3mm. Genuine Chinese coral from Beijing. Dyed purple, but the color doesn't come off!